A true friend is someone who accepts you for who you are, is honest with you, is someone you can trust, and is there when you are in need. A true friend shows they value your friendship. Friendships, especially between women, can be our mirror and help us shape who we are and who we will become. Friendship can be the balm in our lives when the going gets tough, a shoulder to cry on when our intimate relationships go sour, and someone to share our joy when things go right. 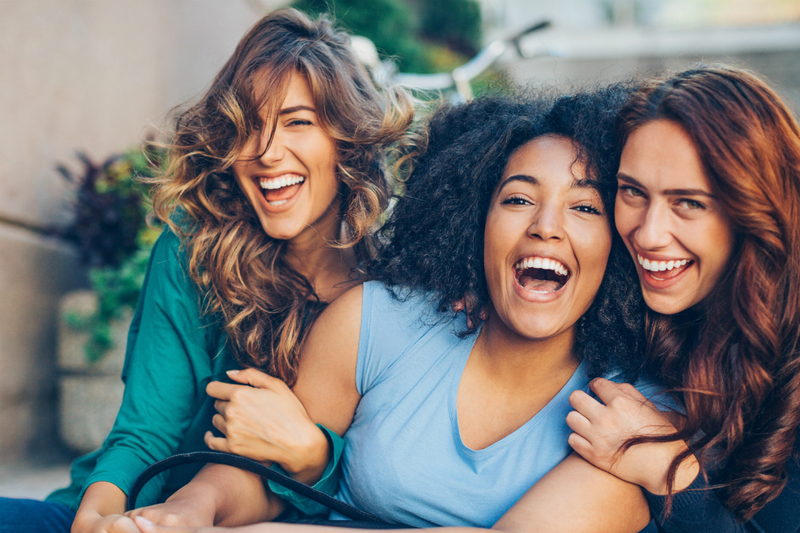 According to a recent poll reported in the American Sociological Review, Americans, regardless of gender, race, age, or education level, said they had only two close friends, compared to a poll in 1985 saying they had three close friends. About one in four had no one with whom they could discuss important matters. This unfortunate decline in close, personal friends has been attributed to a number of reasons: people work longer hours and commute longer distances; women who work outside the home are also busy tending to family chores; those who do not work tend to the children and spend much time chauffeuring them to activities and lessons, and people are spending more and more time on the computer and other electronic devices, rather than spending time in person with friends. I’ve noticed this worrisome trend among those who seek my help with fertility issues or to try to make sense of their lives. Most of them have all the materialist trappings but do not have any close friends; often, they also do not have close ties with their families. They do, however, say they spend time engaging with many “friends” in social media. Before you can be a good friend, you have to be your own best friend. This means taking the time to nurture yourself, forgive yourself, and heal any childhood traumas that are causing you to be unhealthy. You need to be able to love and accept yourself as you are; otherwise, you will not be able to love and accept others as they are. As you grow older, your parents, siblings, relatives, and old friends can become your best friends. Take time to forgive them for past hurts and make amends. Each friend can support you in a different aspect of your life. As a woman, it can be difficult to understand a man’s thoughts and behaviors and vice versa. Having friends of both sexes to help you sort things out is invaluable. Being a good friend means knowing when to talk and when to listen. Be honest with your friends, speak up when something is bothering you, and expect your friends to do the same. Take the time frequently to let your friends know how important they are to you. Friends come into your life for a reason, a season, or for a lifetime. It’s okay to let a friend go if you grow apart. Be receptive to new friends throughout your life, as your lifestyle and interests change. I am especially lucky to have a network of friends of all cultural backgrounds, social classes, and races in the four countries where I’ve lived. I also have a very close relationship with my siblings and other family members. In general, those who have a network of friends with whom they socialize regularly—not only on the Internet—are less likely to be sick or depressed compared with those who keep to themselves. That’s another reason to count your friends as blessings. If you are not fortunate to have at least three people in your life you can call true friends, it is time to remedy the situation.